I've been bringing my Zoe here since early January and I've been wanting to write this sooner, but time commitments have stopped that until now. I don't know where to start, Kelly and the staff have been nothing short of amazing. The way that they treat Zoe makes us feel like family members. Zoe has been to other doggy day care places in the city (I'd rather not mention them here) and we found issues with cleanliness and poor dog to staff ratios, but that is certainly not the case here. There is always plenty of staff to ensure that the dogs can play safely and you don't have to give your dog a bath after they leave there because they don't smell of urine. Basically, you have piece of mind leaving your dog there and for me that goes a long way. Zoe goes home at night and she is tired from playing all day. This is far better then leaving her alone all day in a crate or left to roam the house alone and destroy stuff out of boredom. She looks forward to going there, when I ask her if she want to go play with her friends at daycare, her tail starts wagging and she runs to the door. I am so thankful that I found Animal Antics because for us there is no better option!! 5 stars all around. Kira and I started our first obedience class last evening and it was an amazing, fun filled experience for both of us. I need the classes just as much as my amazing lab! Can't wait till next week. I was so nervous when we went in but by the end of the class I felt as though I'd already learned a few things! Thanks Kelly!! Kelly and her staff are absolutely fantastic. I am very happy that I learned about Animal Antics and can take Ace there. He has been going since June of this year and is loving it. 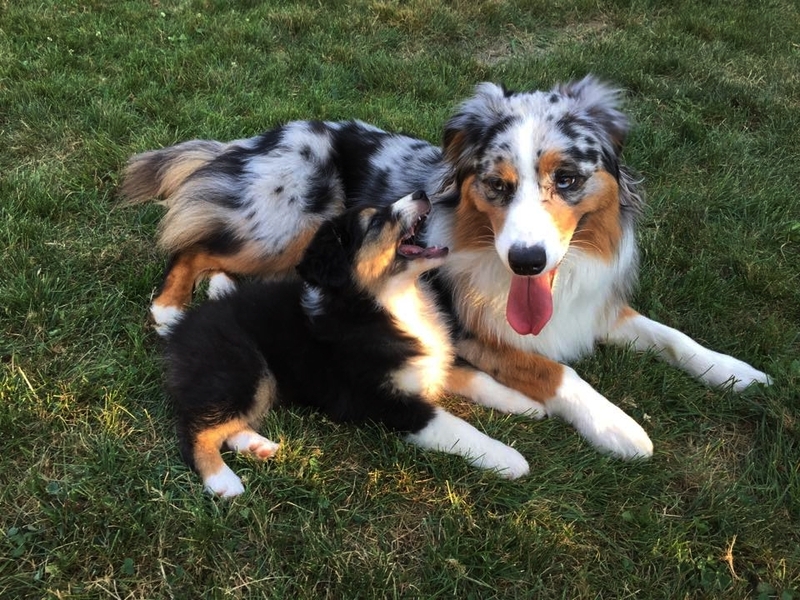 He has learned a lot and really enjoys playing with the other dogs. I am comfortable leaving him there for any length of time knowing that he is well cared for. I cant say enough about them. Samson bonding with one of Sharon and Rick's grandsons. 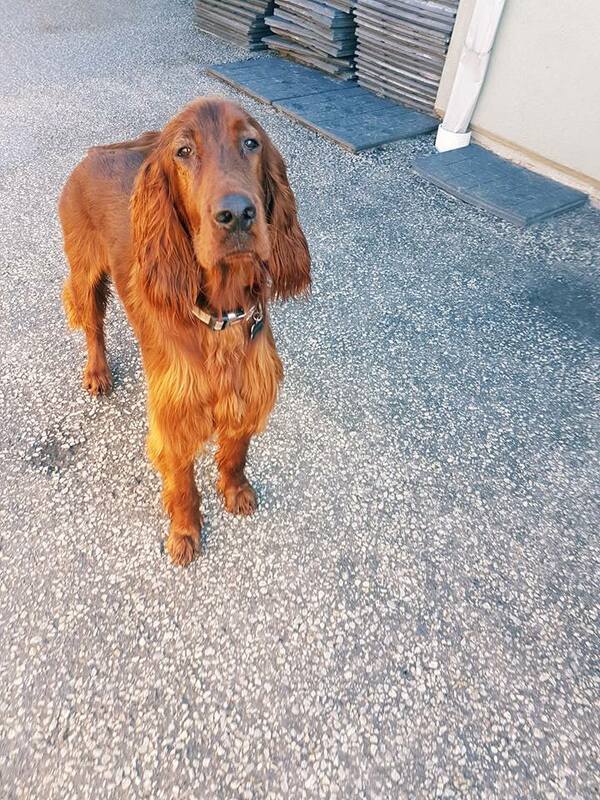 "I just wanted to fill you in on how Samson is doing since your visit. He is showing improvement everyday. The barking is subsiding most of the time. Also Rick (Sharon's husband) and Samson have been having their morning walks usually no less than 30 minutes. His jealousy issues have greatly improved within the house we are very happy about that. All in all WE are making progress..Thank you again." The daycare service is absolutely exceptional! My puppy is extremely timid around new people and dogs, and the team here works so hard to socialize her at a pace that she's comfortable with. The staff is incredible, the service itself is wonderful. 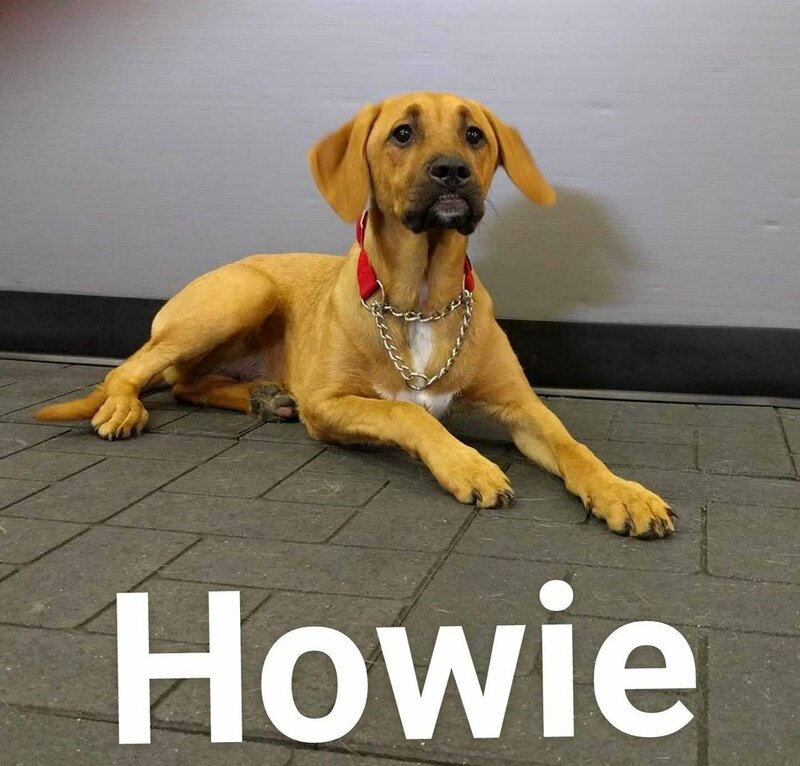 Howie will definitely be a long term member here! Piper LOVES going to see Kelly and everyone at Animal Antics! They are so happy to see her when she comes in, and the staff are attentive to her happiness and her safety. I feel completely relaxed when I drop Piper off and see how excited she is to see all her friends (canine and human). We contacted Kelly after noting Tidbit would sometimes become aggressive when encountering other dogs after an unfortunate situation when an untied dog charged at her, taking her by surprise with no fore warning. Since we adopted her as a rescue girl and had no background information, we decided to seek advice. Kelly met with us at our home to understand Tidbit's behaviour and assess why she felt threatened with certain dogs or situations. She accompanied us and watched closely as we walked, observing her behaviour. Kelly then took her turn walking Tidbit, providing walking techniques and commands, teaching us to keep Tidbit focused to avoid confrontational situations with other dogs and from pulling to break free to chase rabbits and squirrels. We continue to use these commands and techniques on our daily walks and Tidbit responds well. We highly recommend if you are experiencing behaviour issues with your pet for whatever reason to contact Kelly for assistance, as we are pleased with Tidbit's progress. Kelly came to our house to help us training our 13 years old Yorkie and 3 years old German Shepherd to live together. It has been 3 months since she came. She gave us a lot of "homework" and many tips. It was so helpful. They don't attack or bark at each other anymore. We can walk them together and live them in peace. Much gratitude Kelly!!! I am so thankful for Kelly and her staff. I have found her staff to be affectionate, understanding and, most importantly, extremely knowledgeable. I have a high energy dog who does exceptionally well at her daycare. 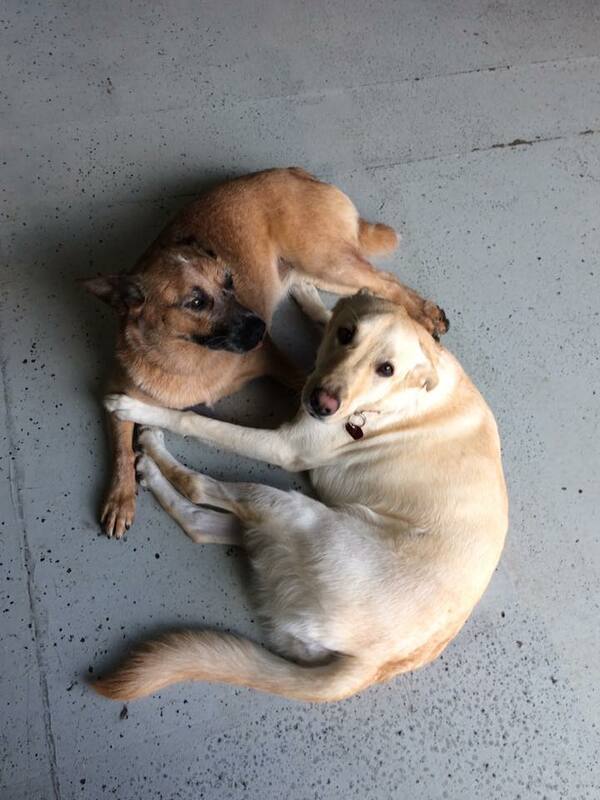 He, like most puppies, has behaviour issues that she and her staff work with during daycare. I also appreciate them telling me what he did wrong, where he needs work and how I can help train him. They give a detailed report card after each visit with information such as, how his bowel movement was, did he eat, and then a detailed account of his behaviour for the day. Thank you Kelly and her staff for helping me get through these puppy years! 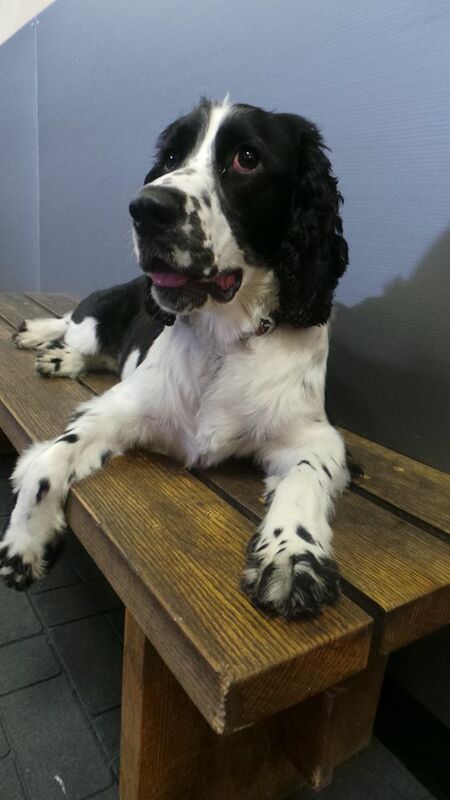 Bonnie is really benefiting from her 'reactive dog classes' and her 'puppy obedience classes'! 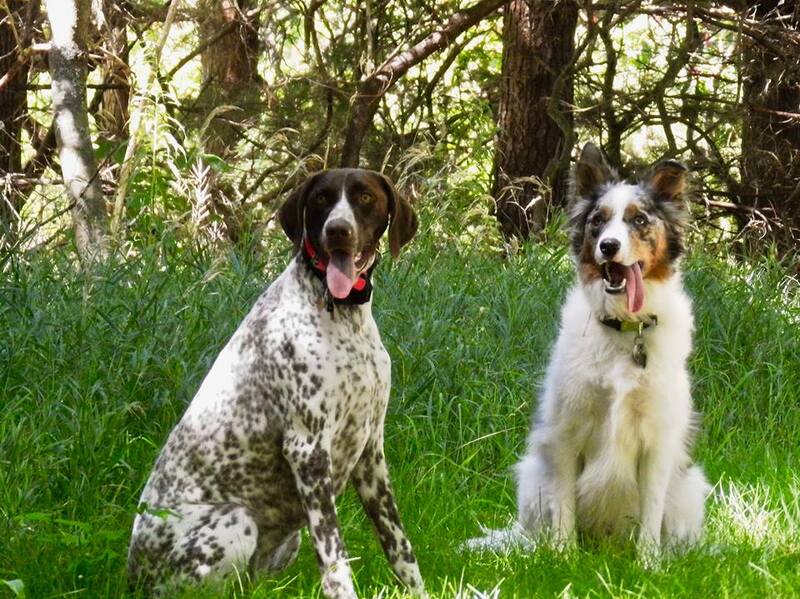 The trainers are very knowledgeable and we love their positive training methods! We absolutely love Animal Antics' daycare services! We have used this service on many occasions despite living outside of the Windsor area because of how much we enjoy it. The staff members are all extremely friendly and welcoming, and the care that they have for all of the dogs shines through their work. Despite us only attending occasionally, the staff has recognized our dogs out and about at community events and is always able to greet our dogs by name even though they have hundreds of clients. We can rest assured that our dogs always come home from daycare well cared for and exhausted from a day full of play time. It makes our day to receive a report card at pick up time and read about what our dogs did that day, as well as to see pictures on Facebook. Thank you for the care that you provide to our dogs and the services you provide to our community! Just started taking my 13 week husky puppy Stella here and Kelly and the staff are amazing. They very obviously love their job and care about your dog just as much as you do. I'm highly satisfied already and highly recommend this behaviour centre to anyone. I'm excited to be able to take Stella to the indoor dog park as well and see what that's all about. helping him get comfortable with all the other pups! Lily started urinating and defecating all over her owner's home and they had been working with their veterinarian to try and solve the issue for over a year. Various behavioural medications were used and nothing had helped. Lily's owner called Animal Antics and after the initial consultation, Lily's litterbox issue was resolved! "Dear Kelly, I want to thank you so much for solving the problem that we had with Lily. As of this past Thursday, she has been 2 months without pooing or peeing anywhere in the house. You have no idea how happy you have made Lily, Rick, and myself. I tell everyone about you and the GREAT JOB that you did. Again, thank you so much from the bottom of our hearts, because without you, I would have been torn apart." ~ Arlene, Rick and Lily,Tecumseh, On. Moose loves coming to daycare and I love how well all the staff takes care of him! The girls give him all the snuggles and attention he's looking for! I completely trust that he's in good hands while he's there which is a big load off my mind. I can't thank Kelly, Kait and the rest of the staff enough for taking care of Moose!